Champagne comes in a variety of styles and tastes: fruity, dry, sweet, rich, elegant, fine, oxidized, yeasty and so on. It's an unusual wine because aside from its effervescence it has high acidity and is relatively low in alcohol, usually only 10-11% of natural alcohol. Much of the character of Champagne is drawn from the grape varieties used, the climate and geology where the grapes are grown but also the philosophy, creativity and imagination of the winemaker/owner. I recently asked several Champagne producers what they considered were the six most important factors which contributed to the style and quality of their particular Champagne. Here is a summary of these factors. Not surprisingly, most producers plumped for the raw material as being the most important criterion for dictating their style and quality. Without first class raw material one just can't make great Champagne, whatever varieties dominate or are present in the blend -- Chardonnay, Pinot Noir and Pinot Meunier, the latter two both black grape varieties but vinified without skin contact (except when making rosé). Chardonnay adds citrus characteristics (from lime to pink grapefruit) even almond, finesse and acidity. Pinot Noir, imparting some red berry character, richness and structure. Pinot Meunier - giving fruitiness (tropical fruits like kiwi, mango, even honey with ageing), lightness and softness. Pinot Meunier is hardly discussed but it is one of the most widely grown varieties in Champagne covering approximately 33% of the Appellation Note 1Pinot noir 39% and Chardonnay 28%. It is a helpful ingredient because it shoots later and may avoid some of the early frosts, not to mention its own intrinsic qualities which it imparts to the wine. The maturity of the grape is crucial. Champagne producers often stressed this aspect with the goal "to obtain as much sugar as possible with high acidity (eg lowest ph) for aromatic concentration. But, not too ripe.” However, this slightly glosses over the definition of 'ripe' which can mean so many different things to different people. All winemakers are united -- grapes, grapes, grapes. 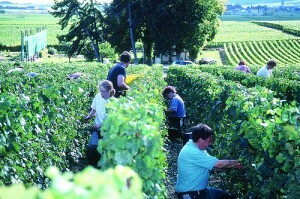 Champagne, one might argue, is not a 'terroir' wine except in the instances of single vineyard Champagnes. But the grapes' characters will vary depending on where they come from. Some, for example, mention the qualities of Pinot Noir from the south side of the Montagne de Reims. 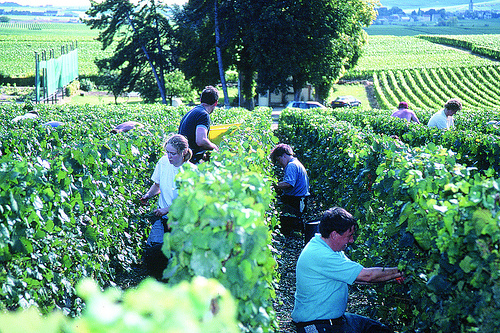 Others manage their terroir, in part to control the maturity of the grapes, which they are looking to harvest. Terroir is very important to smaller grower producers who do not have the opportunities which come from blending wines from perhaps, say, 40 crus which some of the larger houses can do. A few houses are fortunate to own enough vineyards which may contribute more than half the juice which goes into the final blend, and they make no bones about its importance. Some of these vineyards may also be in Grands and/or Premiers Crus vineyards. Whilst climate and topography will work their magic the age of the vines will also impact. Older vines will be less vigorous, bear less fruit and the roots will have penetrated deeper into the soil so they will be less affected by transitory climatic conditions such as rain showers. Walled enclosures are as much a part of the terroir as the winemaker. Whilst much of a grape's development will be determined by the geology of the vine's location -- the diversity of the soils and their exposure to sun, wind, frost, rain and hail growers can influence the quality of the the grapes by means of diverse agricultural practices -- such as pruning; root selection and defoliating -- not to mention whether a producer pursues organic methods of viticulture. These may be easier to implement if you own the vineyard. Most winemaker's opinions differed on the importance to their wine style once the grapes have been harvested, many saying it might only contribute 20% of the style -- others might be more gracious. But even the manner and extent of the pressing is important. Most top houses advertise that they use only the first pressing in their wine (the so-called 'cuvée') and not the 'taille' (the second pressing). But this has a material cost addition to the wine as obviously their output is lower. But at the same time they can charge more for it. 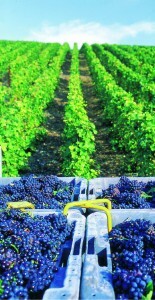 Pressing more also lowers the pH, the juice will have less fruit characteristics and the wine may be less stable. Few Champagne houses, oddly, cite this as being very important. Certainly this is a less romantic component, but significant nonetheless - only one producer confirmed that this would feature in the Top 6 factors for determining house style. The dosage will effect the Champagne's ultimate designation (Brut, extra brut, sec etc) so it is important. The date of disgorgement in relation to when you open the bottle is very important but one which few Champagne producers like to discuss openly as they feel consumers won't understand it. A few enlightened producers put the date of disgorgement on the back label. For one producer, dosage is like a perfume. "Some perfumes are agreeable, fine and elegant, others heavy and strong". Certainly it is one of the main influences on style, whether producers admit to it or not. A high level of dosage may also mitigate a poorer Champagne. Just when this may have been added impacts the taste and style of the Champagne. Another producer highlighted the fact that they make all the wines themselves (some don't) as a major contributor to their house style. Some of the larger houses will buy in wine made by another winemaker before its blending. Hardly mentioned but also of critical importance to the quality and the style of the wine is the choice of the year, village (or cru) and varietals which go into a NV. A particular year's crop may make up 50-80% of a base year so it will have a major impact depending on the proportion. One producer I know, however, makes the best wine for the year that it can rather than a consistent cuvée. They then label the wine to distinguish it from the year before. The assemblage is all important if only an expression of the first two components - grapes and philosophy - both of which feed into the assemblage. All Champagne houses agree that this area is crucial to the style of the house - more even, "its honour". 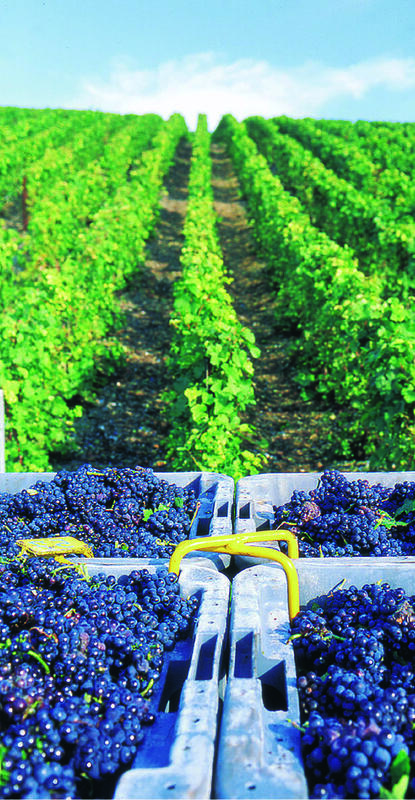 Smaller producers are confined to their own terroirs but larger producers make up their NV blend from various sources: current year's harvest of their own grapes (vineyards owned by them); current year's harvest of grapes bought in from 'growers'; vinified juice bought in from other winemakers (within the Champagne appellation); juice extracted from other years eg one, two or three year's old and reserve wines: these may be as old as ten years. Not to mention the dosage - a small but significant ingredient as it determines the designation: brut, extra brut, sec etc. Also important is the length of time the wine is aged before being released and, even, the date of disgorgement in respect of this. This is probably slightly less important in the way it affects house style but it is also a factor of money. Whilst the AOC regulations demand a minimum of 18 months ageing for vintage Champagne most reputable houses age for longer. Some age their wines 4, 5 or even 6 years before release. One producer I spoke to likes to age their wines in oak: more because the casks breathe rather than for imparting any wood flavour. One producer is unique in keeping their reserve wines (wines from previous years which help make up the consistency in the blend and temper what might be lacking in any year) in magnums, which they regard as essential for their consistency in taste and style. The unique qualities of a Champagne stem from its grapes -- where they are grown and the manner in which they are tended. Unique because if you own a parcel or buy grapes from a grower then you alone have access to this ingredient for your Champagne blend. So, rather naturally, producers will put this at the top of their list. The quality of the raw material determines the quality of what goes into the bottle. But a skillful winemaker can add many other elements which in their own way are unique too whilst capable of replication by another house. Even the concept of ripeness is one for which there is no hard and fast rule. Maturity is a key factor in determining the quality and style of the Champagne and clearly it is something over which the oenologist or grower has an enormous influence both in promoting ripeness and deciding when grapes may be ready to pick. What no Champagne house can do is replicate what it doesn't possess. 2. ↑ A note on dosage Few Champagne houses, oddly, cite this as being very important. Certainly this is a less romantic component, but significant nonetheless - only one producer confirmed that this would feature in the Top 6 factors for determining house style. The dosage will effect the Champagne's ultimate designation (Brut, extra brut, sec etc) so it is important. The date of disgorgement in relation to when you open the bottle is very important but one which few Champagne producers like to discuss openly as they feel consumers won't understand it. A few enlightened producers put the date of disgorgement on the back label. For one producer, dosage is like a perfume. "Some perfumes are agreeable, fine and elegant, others heavy and strong". Certainly it is one of the main influences on style, whether producers admit to it or not. A high level of dosage may also mitigate a poorer Champagne. Just when this may have been added impacts the taste and style of the Champagne.